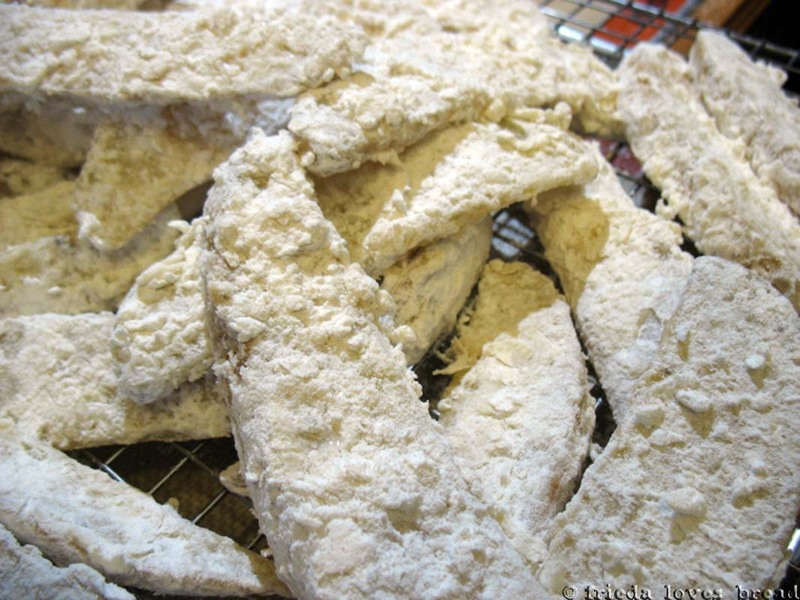 Frieda Loves Bread: Tater Babies: What Labor Pains? 9 Tater Babies: What Labor Pains? I hope you all enjoyed your Mother's Day. It's a wonderful time to appreciate and remember our mothers, whether she lives near, far away, or is no longer with you. Some of you are mothers yourselves or are patiently waiting to become a mother. Have some of you been through labor? You know, the acute, agonizing type of labor where you are in intense pain, trying desperately to push out a being with a head the size of a bowling ball, screaming at anyone for meds or for a two by four to knock you out? I have. Once. But then something magical happens. The baby is born and the minute you hold that little bundle in your arms, all the pain seems to melt away. 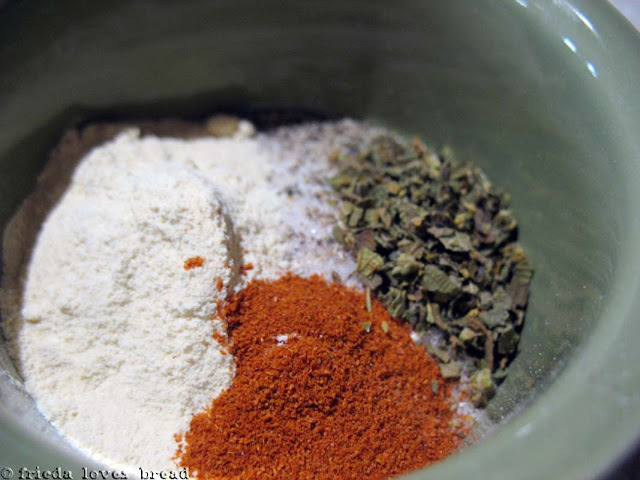 As it is with this recipe....It starts with the perfect marriage of spices: Salt, pepper, cayenne, oregano, onion and garlic powders are thrown together to make the perfect blend...not too spicy for this girl! 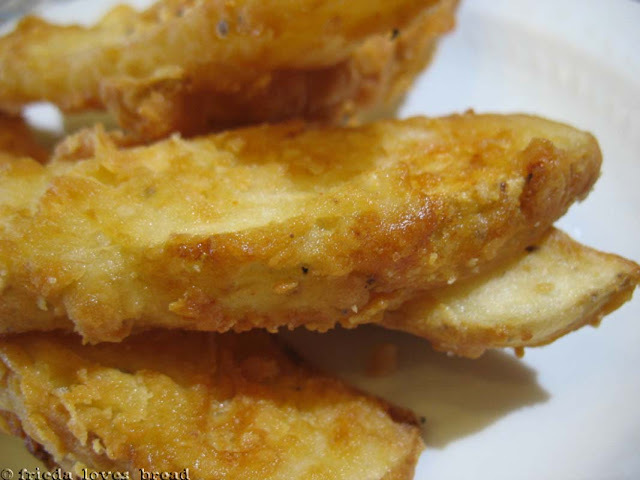 Toss the potato wedges with 4 teaspoons of the spice blend and canola oil in a large microwave safe bowl. Cover and microwave on high for 7-9 minutes...this is partially baking the potatoes. You don't want to cook them all the way. 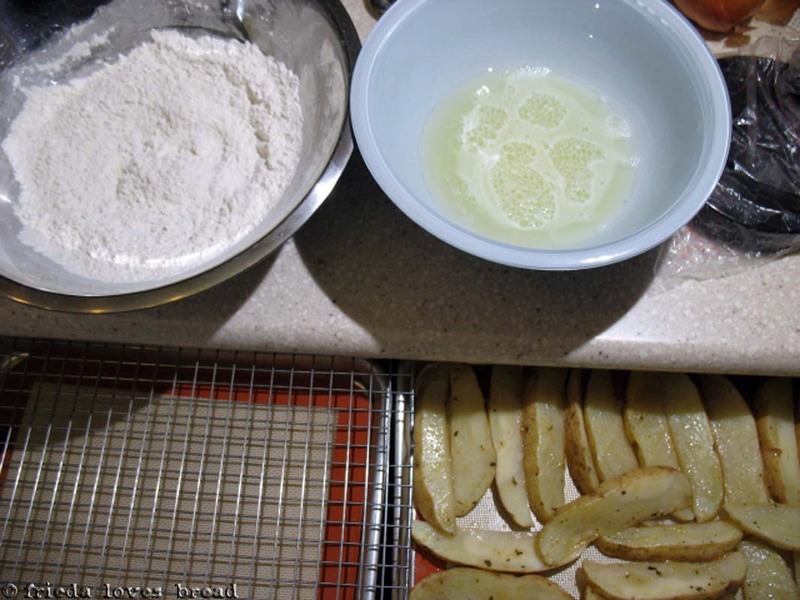 Arrange the potatoes on a baking sheet in a single layer to cool for 10 minutes. In the left bowl, is a mixture of all purpose flour and cornstarch. 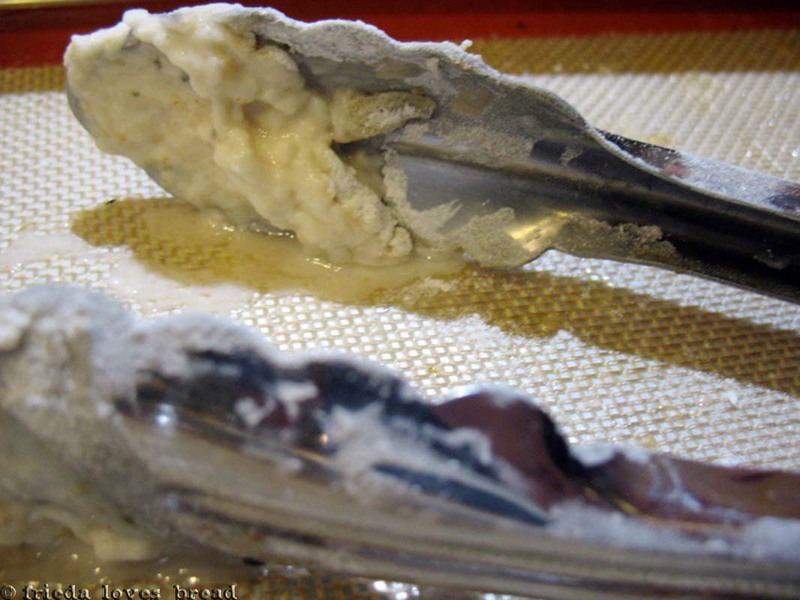 In the right bowl is a mix of buttermilk and baking soda. If you don't have buttermilk, you can use soured milk, a combination of lemon juice (or vinegar) and milk. This is where the work, or labor comes into play. While the oil is heating up, you dip a handful of potato wedges into the flour mix, shake off excess, and dip into the buttermilk mix, let it drip.....annnnnnd....back into the flour mix. Doesn't sound hard, does it? Dip, shake, dip, shake, dip. I took a look at my finger tips. There was something seriously wrong. I had a blob of goo on each finger tip. Enter the tongs. These saved my life. And my fingertips! I thought I would be smart and use only half the oil in a heavy bottomed saucepan. 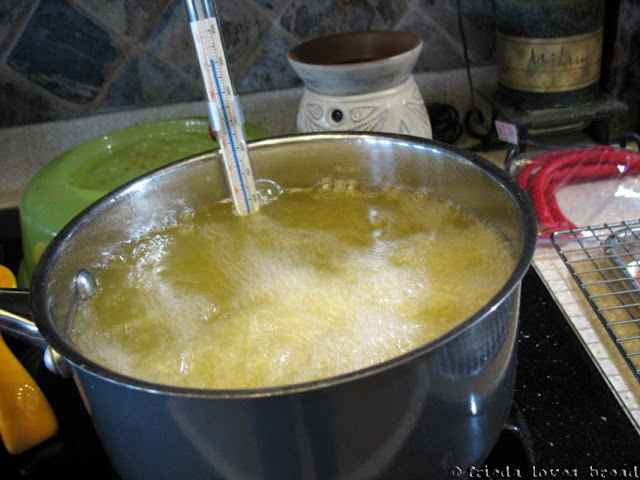 I used a candy thermometer, as not everyone is lucky enough to have a deep fryer. Having a thermometer is crucial to deep frying. If the oil is not hot enough, you will have a soggy, greasy product. 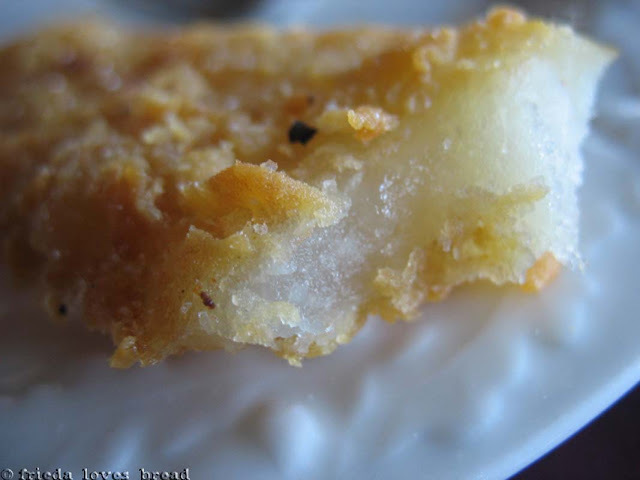 If it is too hot, you will have a crispy exterior and an uncooked center. 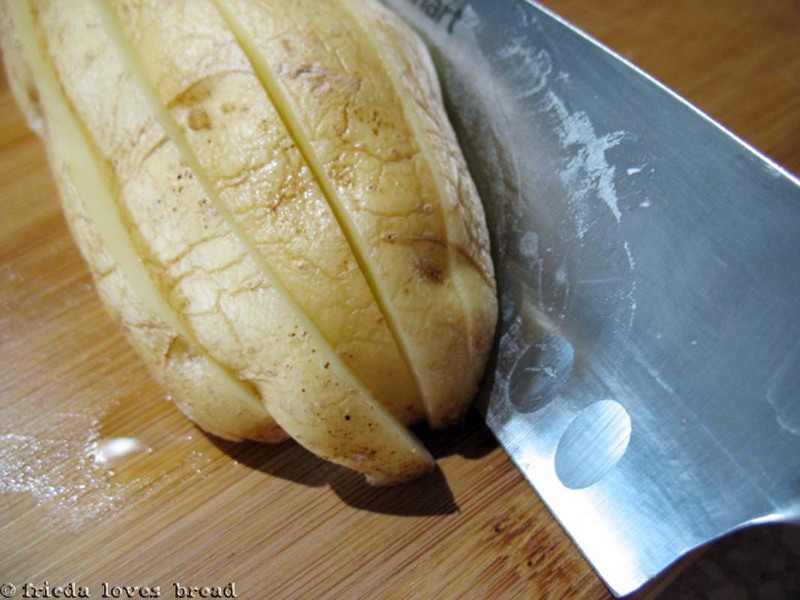 This recipe wants these taters to be fried at 340ºF. I was only able to put 4-5 wedges in the oil. The taters only take about 4-6 minutes to cook. 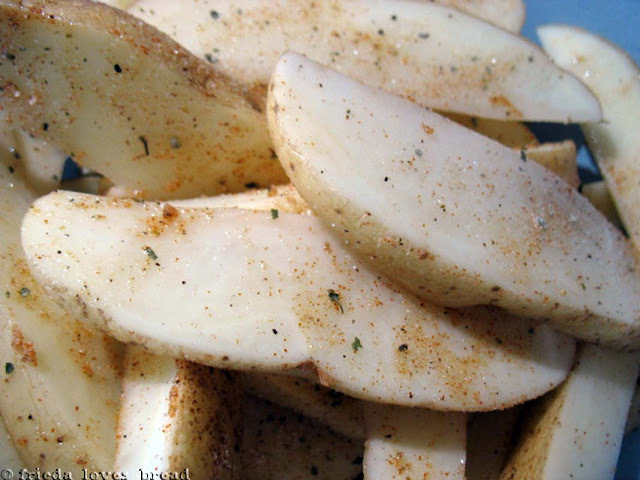 The hot, freshly cooked wedges are put into a bowl and sprinkled with some left over seasoning. The seasoned taters are then put on a wire rack lined baking sheet and kept them warm in a 200ºF oven. If you have a large, heavy bottomed pan (or dutch oven) that will hold 3 quarts of oil, use it. 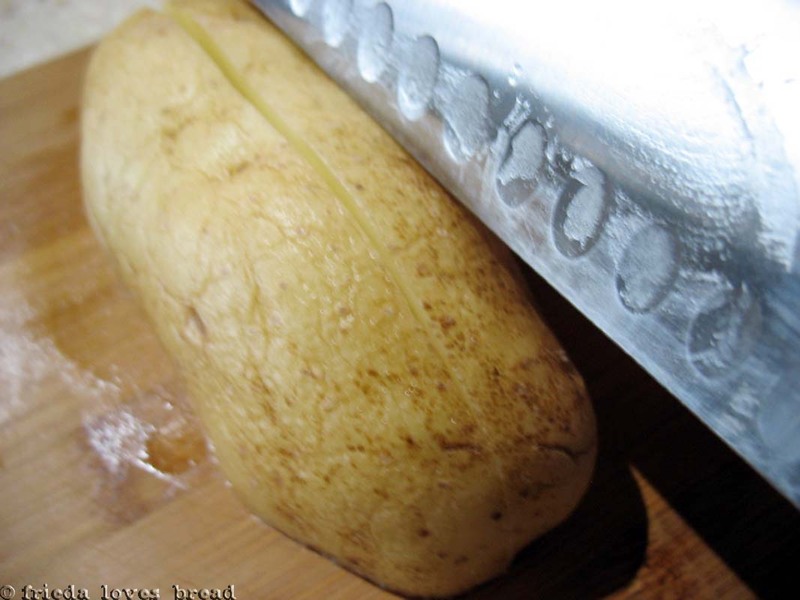 You will be able to fry up two pounds of taters in 15 minutes or less. Crispy. Full of flavor. Soft, tender melt-in-your mouth inside. Still laughing. Some things are just worth the effort. I could almost taste these fries through my computer. Bet they were good. These look tasty!! 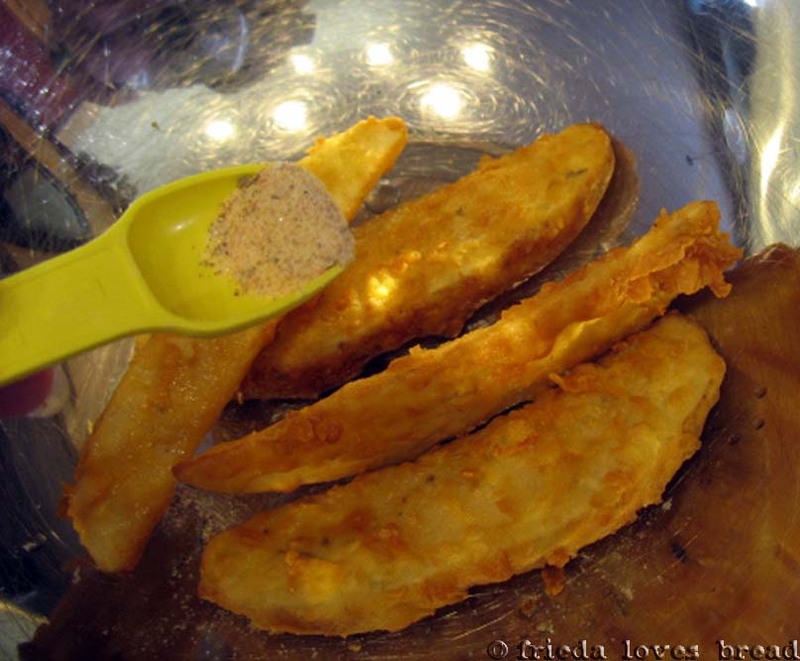 I love deep fried stuff and would love to try using pickles here in place of the potatoes sometime. Im a big fan of the close up shots.Great job!! 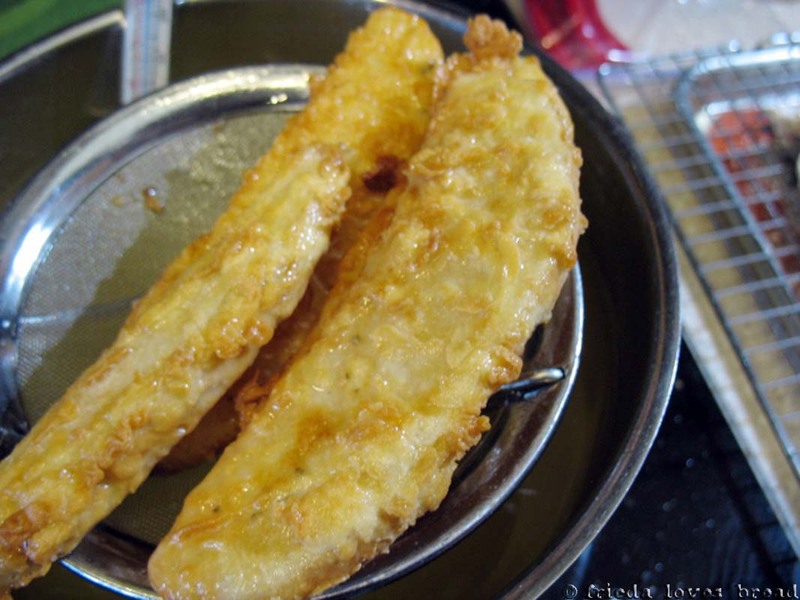 Add these to the list of things we should fry once I get over my fear of frying. These look absolutely delicious! I can only imagine how tasty they are served hot and crispy! Hope you had a wonderful Mother's Day :)! These look sinfully delicious! I love the comparison to labor--too funny! Now that is my kind of baby. Looks great. Tater babies! Definitely going to make these. I have a bag of potatoes I need to use up and this is perfect!